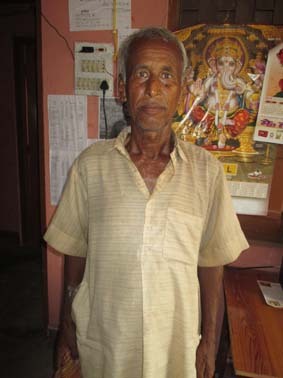 Nag Yadav, 65, is a resident of Singpur village, West Champaran. He belongs to a poor family and have to work hard even at this age to make ends meet. After knowing about the social security scheme, Old Age Pension scheme run by the government for elderly people, he applied for monthly pension to support his family in managing financial expenses. He filled up the application form for the old-age pension a few months ago and has the acknowledgement receipt for the same but he could not get the pension for the reasons unknown to him. However, he has visited the office multiple times and tried to know the status of his application. Soochna Seva team met and interacted with him during the visit to Singhpur village. Mr. Yadav told the team that he has been running pillar to post to get his old-age pension approved from the block development office but all his efforts went in vain. The team assisted Nag Yadav and introduced him to the concerned officials in the block office for quick perusal of his application. The efforts made by the team borne positive results. He has begun getting the old-age pension from August. He congratulated the team for assisting him in getting his pension.